The 1974 United States House of Representatives elections were elections for the United States House of Representatives in 1974 that occurred in the wake of the Watergate scandal, which had forced President Richard Nixon to resign in favor of Gerald Ford. This scandal, along with high inflation, allowed the Democrats to make large gains in the midterm elections, taking 49 seats from the Republicans and increasing their majority above the two-thirds mark. Notable freshmen include future senators Chuck Grassley, Tim Wirth, Chris Dodd, Paul Simon, Tom Harkin, Paul Tsongas, Larry Pressler, Bob Krueger, Jim Jeffords, and Bob Kasten, Future senator and China Ambassador Max Baucus, future NJ gov. James Florio and future MI gov. James Blanchard. Redistricted from the 14th district Democratic 1966 Incumbent retired to run for Governor of California. Redistricted from the 10th district Republican 1952 Incumbent retired. Redistricted from the 18th district Republican 1966 Incumbent lost re-election. California 20 Barry Goldwater Jr.
California 24 None (District created) New seat. California 27 Alphonzo E. Bell Jr.
Redistricted from the 19th district Democratic 1942 Incumbent retired. Redistricted from the 32nd district Republican 1952 Incumbent retired. Redistricted from the 43rd district Republican 1970 Incumbent lost re-election. California 36 George Brown Jr.
Redistricted from the 34th district Democratic 1962 Incumbent retired. Colorado 2 Donald G. Brotzman Republican 1966 Incumbent lost re-election. 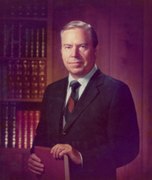 Connecticut 2 Robert H. Steele Republican 1970 Incumbent retired to run for Governor of Connecticut. Connecticut 6 Ella T. Grasso Democratic 1970 Incumbent retired to run for Governor of Connecticut. Florida 5 Bill Gunter Democratic 1972 Incumbent retired to run for U.S. Senator. Georgia 4 Benjamin B. Blackburn Republican 1966 Incumbent lost re-election. Georgia 7 John W. Davis Democratic 1960 Incumbent lost re-election. Idaho 2 Orval H. Hansen Republican 1968 Incumbent lost re-election. Illinois 3 Robert P. Hanrahan Republican 1972 Incumbent lost re-election. Illinois 6 Harold R. Collier Republican 1956 Incumbent retired. Illinois 10 Samuel H. Young Republican 1972 Incumbent lost re-election. Illinois 15 Leslie C. Arends Republican 1934 Incumbent retired. Illinois 24 Kenneth J. Gray Democratic 1954 Incumbent retired. Indiana 2 Earl F. Landgrebe Republican 1968 Incumbent lost re-election. Indiana 6 William G. Bray Republican 1950 Incumbent lost re-election. Indiana 8 Roger H. Zion Republican 1966 Incumbent lost re-election. Indiana 10 David W. Dennis Republican 1968 Incumbent lost re-election. Indiana 11 William H. Hudnut III Republican 1972 Incumbent lost re-election. Iowa 2 John C. Culver Democratic 1964 Incumbent retired to run for U.S. Senator. Iowa 3 H. R. Gross Republican 1948 Incumbent retired. Iowa 5 William J. Scherle Republican 1966 Incumbent lost re-election. Iowa 6 Wiley Mayne Republican 1966 Incumbent lost re-election. Kansas 2 William R. Roy Democratic 1970 Incumbent retired to run for U.S. Senator. Kentucky 1 Frank Stubblefield Democratic 1958 Incumbent lost re-election. Louisiana 6 John Rarick Democratic 1966 Incumbent lost re-election. Maine 1 Peter N. Kyros Democratic 1966 Incumbent lost re-election. Maryland 5 Lawrence Hogan Republican 1968 Incumbent retired to run for Governor of Maryland. Massachusetts 3 Harold Donohue Democratic 1946 Incumbent retired. Massachusetts 5 Paul W. Cronin Republican 1972 Incumbent lost re-election. Michigan 6 Charles E. Chamberlain Republican 1956 Incumbent retired. Michigan 17 Martha W. Griffiths Democratic 1954 Incumbent retired. Michigan 18 Robert J. Huber Republican 1972 Incumbent lost re-election. Minnesota 2 Ancher Nelsen Republican 1958 Incumbent retired. Minnesota 6 John Zwach Republican 1966 Incumbent retired. Minnesota 8 John Blatnik Democratic 1946 Incumbent retired. Montana 1 Richard G. Shoup Republican 1970 Incumbent lost re-election. Nebraska 3 David T. Martin Republican 1960 Incumbent retired. Nevada at-large David Towell Republican 1972 Incumbent lost re-election. New Hampshire 1 Louis C. Wyman Republican 1966 Incumbent retired to run for U.S. Senator. New Jersey 1 John E. Hunt Republican 1966 Incumbent lost re-election. New Jersey 2 Charles W. Sandman Jr. Republican 1966 Incumbent lost re-election. New Jersey 5 Peter Frelinghuysen Jr. Republican 1952 Incumbent retired. New Jersey 7 William B. Widnall Republican 1950 Incumbent lost re-election. New Jersey 13 Joseph J. Maraziti Republican 1972 Incumbent lost re-election. New York 2 James R. Grover Jr. Republican 1962 Incumbent lost re-election. New York 3 Angelo D. Roncallo Republican 1972 Incumbent lost re-election. New York 11 Frank J. Brasco Democratic 1966 Incumbent retired. New York 13 Bertram L. Podell Democratic 1968 Incumbent lost re-election. New York 14 John J. Rooney Democratic 1944 Incumbent retired. New York 15 Hugh L. Carey Democratic 1960 Incumbent retired to run for Governor of New York. New York 24 Ogden R. Reid Democratic 1962 Incumbent retired to run for Governor of New York. New York 27 Howard W. Robison Republican 1958 Incumbent retired. New York 29 Carleton J. King Republican 1960 Incumbent lost re-election. New York 36 Henry P. Smith III Republican 1964 Incumbent retired. New York 37 Thaddeus J. Dulski Democratic 1958 Incumbent retired. North Carolina 5 Wilmer Mizell Republican 1968 Incumbent lost re-election. North Carolina 8 Earl B. Ruth Republican 1968 Incumbent lost re-election. Ohio 1 Tom Luken Democratic 1974 Incumbent lost re-election. Ohio 8 Walter E. Powell Republican 1970 Incumbent retired. Ohio 23 William Edwin Minshall Jr. Republican 1954 Incumbent retired. Oklahoma 2 Clem McSpadden Democratic 1972 Incumbent retired to run for Governor of Oklahoma. Oklahoma 6 John Newbold Camp Republican 1968 Incumbent lost re-election. Oregon 1 Wendell Wyatt Republican 1964 Incumbent retired. Oregon 3 Edith Green Democratic 1954 Incumbent retired. Oregon 4 John R. Dellenback Republican 1966 Incumbent lost re-election. Pennsylvania 5 John H. Ware III Republican 1970 Incumbent retired. Pennsylvania 7 Lawrence G. Williams Republican 1966 Incumbent lost re-election. Pennsylvania 19 George Atlee Goodling Republican 1966 Incumbent retired. Pennsylvania 25 Frank M. Clark Democratic 1954 Incumbent lost re-election. Rhode Island 2 Robert Tiernan Democratic 1967 Incumbent lost re-election. South Carolina 3 William Jennings Bryan Dorn Democratic 1950 Incumbent retired to run for Governor of South Carolina. South Carolina 5 Thomas S. Gettys Democratic 1964 Incumbent retired. South Carolina 6 Edward Lunn Young Republican 1972 Incumbent lost re-election. South Dakota 1 Frank E. Denholm Democratic 1970 Incumbent lost re-election. Tennessee 3 LaMar Baker Republican 1970 Incumbent lost re-election. Tennessee 8 Dan Kuykendall Republican 1966 Incumbent lost re-election. Texas 13 Bob Price Republican 1966 Incumbent lost re-election. Texas 21 O. C. Fisher Democratic 1942 Incumbent retired. Utah 2 Douglas W. Owens Democratic 1972 Incumbent retired to run for U.S. Senator. Vermont at-large Richard W. Mallary Republican 1972 Incumbent retired to run for U.S. Senator. Virginia 8 Stanford Parris Republican 1972 Incumbent lost re-election. Virginia 10 Joel T. Broyhill Republican 1952 Incumbent lost re-election. Washington 3 Julia Butler Hansen Democratic 1960 Incumbent retired. Wisconsin 3 Vernon Wallace Thomson Republican 1960 Incumbent lost re-election. Wisconsin 8 Harold Vernon Froehlich Republican 1972 Incumbent lost re-election. Wisconsin 9 Glenn Robert Davis Republican 1964 Incumbent lost re-election. ^ James M. Naughton (November 6, 1974). "Senate and House Margins Are Substantially Enlarged". New York Times. Archived from the original on 2016-03-05. Retrieved October 31, 2014.